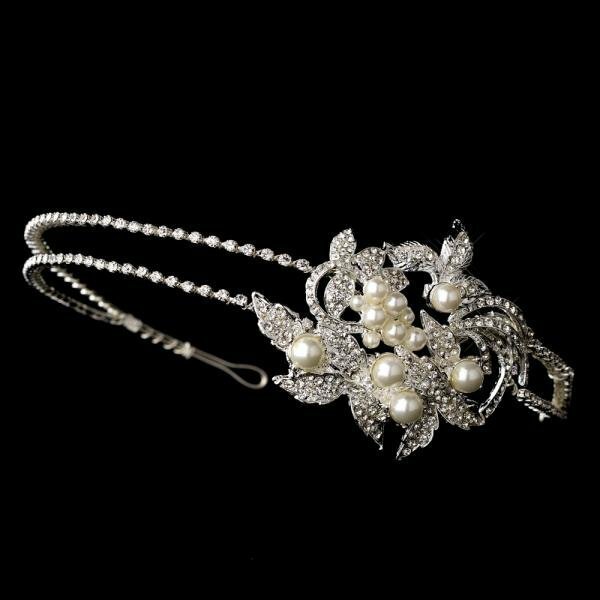 Beautiful side accented bridal headpiece adorned with sparkling pave encrusted rhinestone leaf like design. The side ornament has diamond white faux pearl accents. This double band is both simple yet stylish.